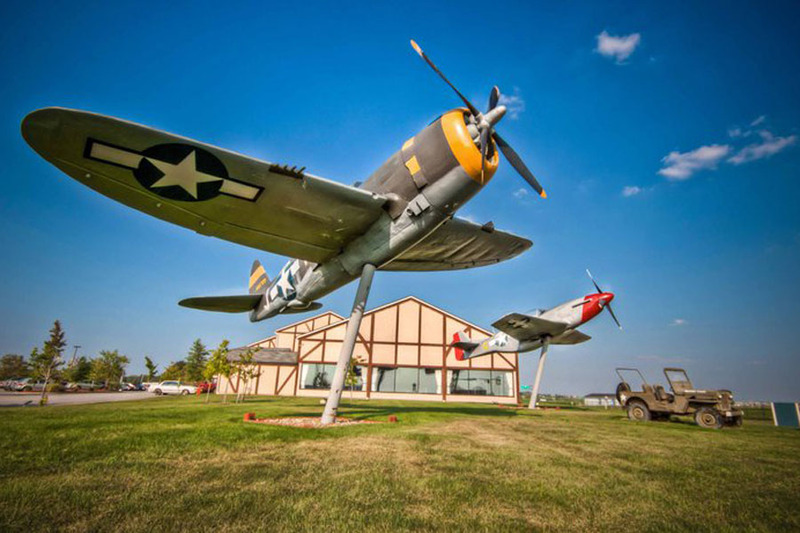 The 100th Bomb Group Restaurant is located directly across from Cleveland Hopkins International Airport. Therefore, I drive past it every day on the way into work and thought this would make a cool photo. I have eaten there many times and the food is really good. The thing that makes this restaurant so cool however is its World War II era theme and amazing views of the airport. Make sure you put this unique restaurant at the top of things to experience when you are in Cleveland. This entry was posted on Wednesday, March 14th, 2012 at 9:20 am. You can follow any responses to this entry through the RSS 2.0 feed. You can leave a response, or trackback from your own site.